Laser Flash in Carmel, Ind., boasts the distinction of being “Indiana’s largest laser tag center.” The over 12,000-square-foot facility can accommodate up to 42 players per game of laser tag, and features seating for up to 90 in the party area, as well as 24 in the VIP conference center. Owner Peter Murphy said that while most guests don’t come to Laser Flash for the arcade, it’s still an important part of his business. The Laser Flash facility can accommodate up to 42 players per game of laser tag and offers an extensive arcade as part of the fun. A redemption counter at Adventure Sports. The prizes range from the less expensive items for tourists to more expensive prizes for regulars who will spend more time to earn them. The Track features traditional laser tag in a black-lit maze, as well as a Laser Maze Challenge, which challenges guests to navigate through a web of lasers within a set time limit. 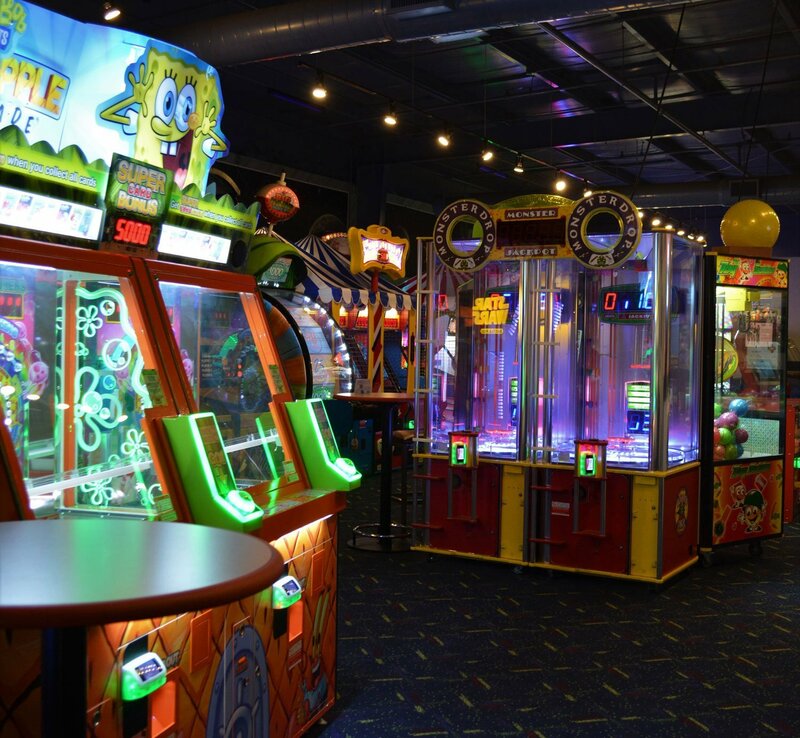 The park’s three arcades feature over 250 different games. 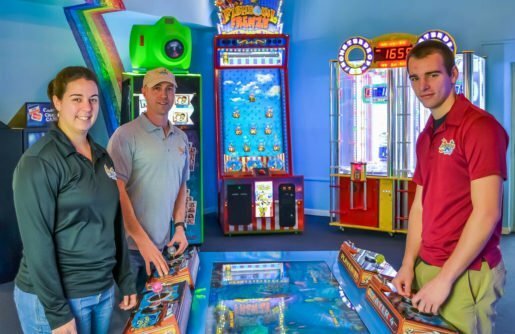 Erik Peffley, facilities manager, Jared Landis, staff member, and Alishia Landis, manager, of Adventure Sports.The center’s arcade appeals to all ages. 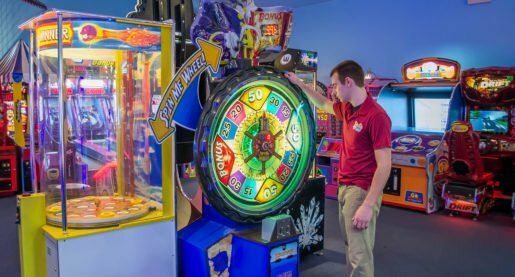 Having an indoor arcade is also essential on Santa Cruz Beach Boardwalk in Santa Cruz, Calif., where two large arcades, The Casino Arcade and Neptune’s Kingdom, are open 365 days a year, rain or shine. Inside The Casino Arcade is a 3,500-square-foot laser tag arena complete with special lighting, sound effects, obstacles and fog. Staff Member Jared Landis of Adventure Sports in Hershey, Pa., in the arcade. All-weather, indoor fun is important to the attraction. If customers are working toward a goal of winning attractive prizes, the arcade will do well, according to the owner of Laser Flash. 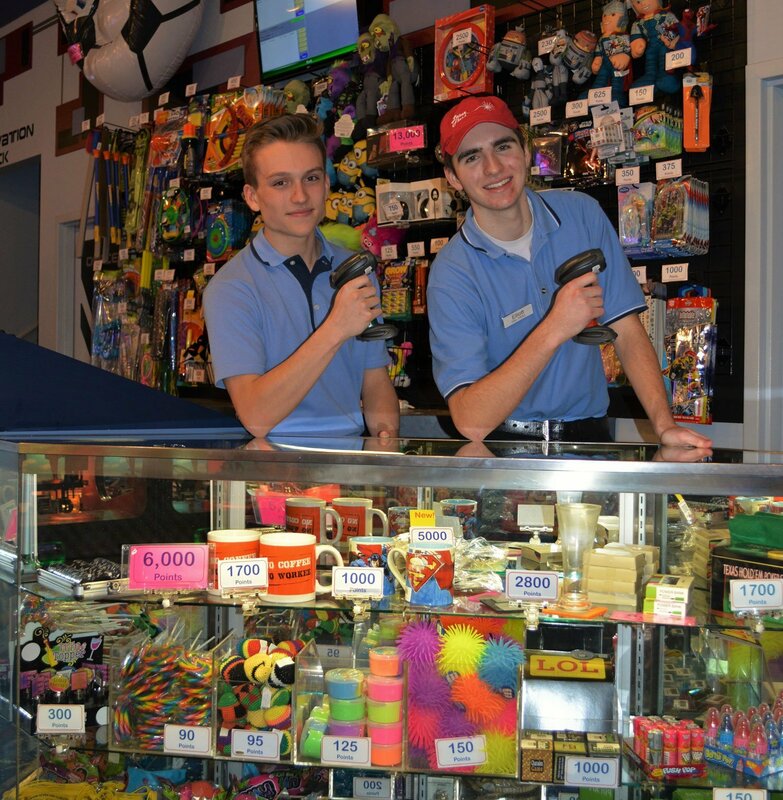 Shown at the attraction’s prize center are staff members Cameron Leffler, left, and Elliott Street. 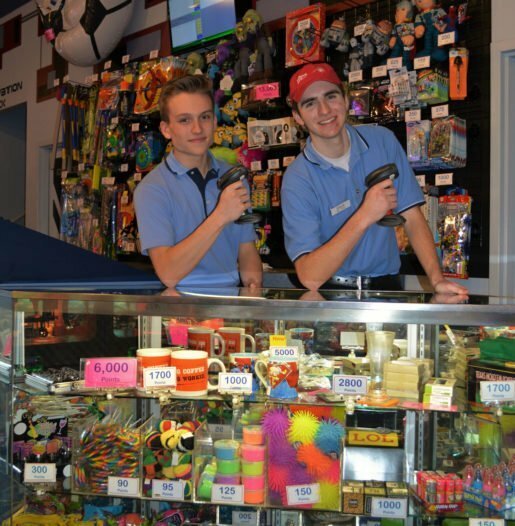 The pair are holding barcode scanners used to track prize and play card values. Photo by Laura Aadson. 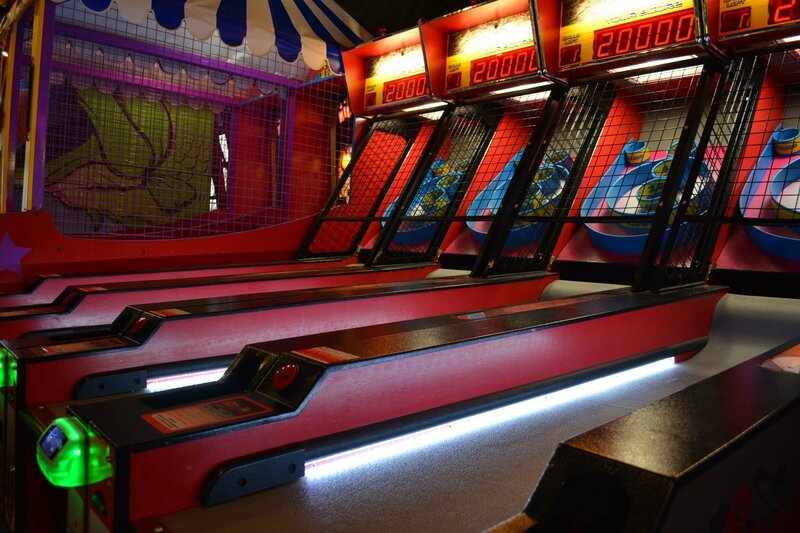 A Skee Ball setup at Laser Flash in Carmel, Ind. The arcade provides a quarter of the center’s total revenue. The center features outdoor laser tag on three acres of old growth woods. Their equipment is designed to work at longer ranges, helping to maintain safety and enable greater teamwork among guests. Arcade games at Laser Flash. 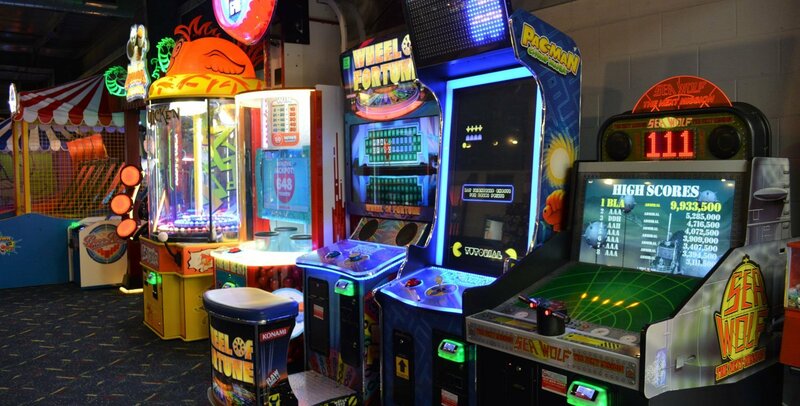 The arcade is part of a 12,000-square-foot facility. 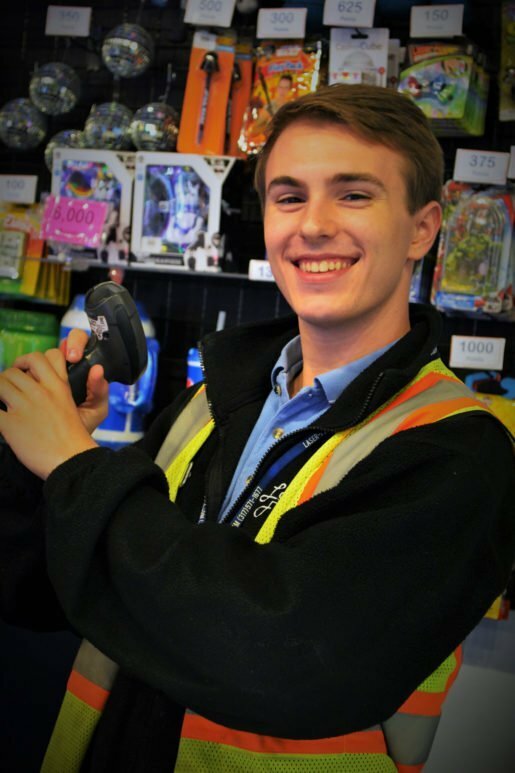 Laser Flash staff member Danny Stanton photographed at the redemption counter. 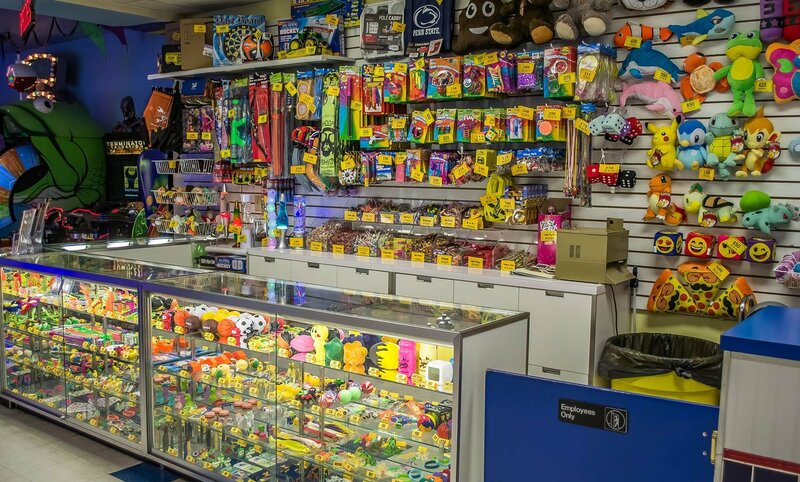 The owner said a prize center can make or break an arcade. Photo by Laura Aadson. 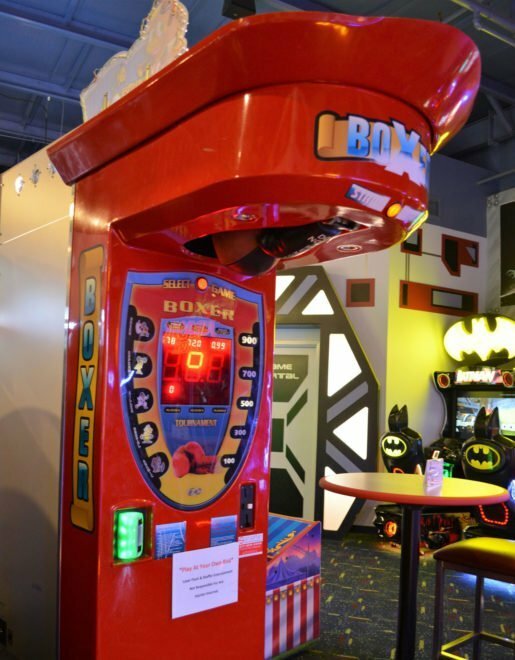 A boxing game at Laser Flash. Although most guests do not visit the facility for the arcade, it is still an important part of the business.